Okra is a very misunderstood vegetable. Either you love it, or hate it. There is no middle ground with okra. This is a historically significant vegetable packed with nutrition, and it deserves to be grown and treated with respect. Okra is easy to grow, has few pests, and every vegetable garden with a climate where it will grow should have some. Okra seems to have originated in the African area that has come to be known as Ethiopia. It is found growing wild there and seems to be indigenous to this region. The vegetable was known in Egypt and in India but there are no writings that mention it before the 12th or 13th centuries in either culture. 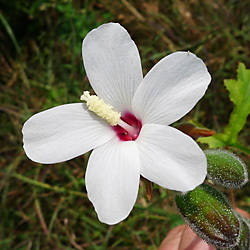 The Spanish Moors were familiar with okra also and one 12th century traveler to Egypt even noted that it was especially tasty when rolled in meal and fried. So, as much as we Southerners want to be the okra experts of the world, in fact we were late comers to the okra game. Okra came to North America along with the slave trade in the 17th and 18th centuries. It was known in Brazil about the same time and credit goes to the French in Louisiana and the Portuguese in Brazil for introducing it. The word "gumbo" is synonymous for okra in Portuguese. They dried and ground the seeds of mature okra pods to make edible oil used for cooking and okra oil is still used in parts of Africa and the Mediterranean today. Okra thrives in hot, humid conditions and tolerates drought well. It contains many nutrients and is a good source of fiber as well. The slimy texture that is unpleasant to many is actually very useful to people with digestive problems. 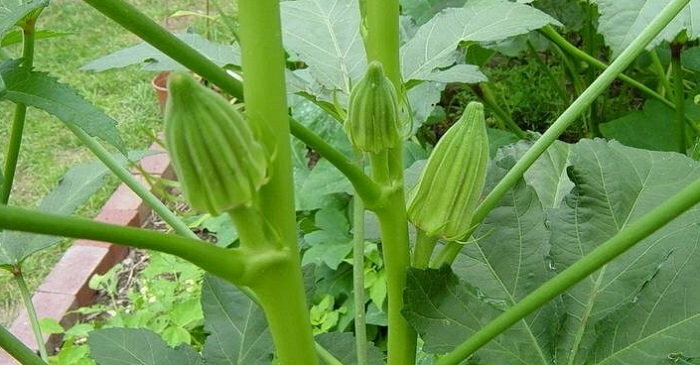 The okra juice coats the intestines with a natural lubricant and relieves constipation and other problems without harsh chemicals or habit-forming drugs. This vegetable deserves nutritional respect if nothing else. A one-half cup of cooked okra contains about 25 calories, 2 grams of fiber, 1.5 grams of protein, 5.8 grams of carbohydrate, 460 IU of Vitamin A, 13 mg of Vitamin C, 50 mg of Calcium, 256 of Potassium, and also has Magnesium and Folic acid in measurable amounts. Not only is it packed with nutrition, but the type of dietary fiber that okra contains helps stabilize blood sugar as it curbs the rate that sugar is absorbed into the intestinal tract. Okra can be prepared in a number of ways. Some minimize the "slime" as we Southerners call it and some simply embrace it. When cut and simmered in stews and gumbos the sticky juice aids in thickening them. If you like the taste of okra in these dishes but do not care for the texture it imparts, you can quickly sear the cut pieces in a hot pan before adding it to the dish. This will not eliminate the mucilage but will tame it somewhat. Small whole okra pods can be substituted for the cut pieces, but if the dish is cooked very long the pods will break down and release the juice. In other words, okra is slimy, get used to it. The flavor of okra mixed with tomatoes is almost a perfect combination and stewed okra and tomatoes is a common dish in nearly every okra loving home during the season. Okra halves can be stuffed and baked and the vegetable can be substituted for cucumbers in most any pickle recipe. Split pods can be dried for winter use and are incorporated in recipes just like the fresh ones. Okra pods should be three inches long or less. It tends to get tough and woody if harvested much bigger. It should be used within a couple of days because it is inclined to toughen up in storage too. Okra does not store well in temperatures less than 45 degrees, so refrigerate it for only short periods of time. Since okra is a vegetable that loves the heat of summer, seeds should be planted well after the last frost and when the ground has warmed. It is not happy about transplanting, but will tolerate it if the roots are not disturbed when doing so. Here in the South we direct-seed our okra, but further north transplanting seedlings may be the only option. There are several varieties of okra that have short maturity dates so one that fits your growing season should be found with just a little research. Give okra room to grow as some varieties can get quite tall. I space my seeds between 8" and 10" apart, but my variety is one of the smaller ones. 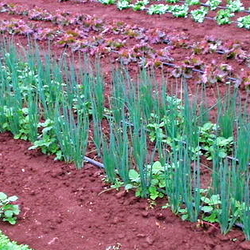 The seedlings need well-drained soil of moderate fertility. Okra is a forgiving vegetable and will produce a crop without much care, but average garden soil will result in a bumper crop. Few pests bother okra and for the most part, leave the plants and fruit alone. Japanese Beetles tend to be the worst thugs in my area but they just tend to just take a nibble and move on to my roses. I have never used any form of pest control on okra. It just does not need it. Beautiful pale yellow blossoms form on okra plants and as soon as they start blooming it is time to watch for pods. Okra pods can go from flower to over ripe pod in about 5 days. Keep a close eye on your plants during blooming season. One of the most common failures that first time okra growers have is that they harvest pods too late and they end up with pods that are inedible. During the summer I check my okra every single day; the pods are easy to miss because they blend in with the foliage so well. Depending on how favorably your family embraces okra you may plant as few as 6 plants, or several hundred. It can be blanched and frozen for winter use quite easily so plant extra if you like to put food by for cooler weather. Each okra plant can be expected to produce 2 or 3 pods every day or two during peak season so plan accordingly. Okra is an ancient vegetable that is now loved by many cultures. It is prepared in an amazing variety of ways. It is a healthy, low calorie, low fat food that is packed with nutrition and health benefits. It is easy to grow and attracts few pests that have to be dealt with. When planning the yearly vegetable garden, expand your family's horizons and include a patch of okra. You may be surprised at the reception that it gets. 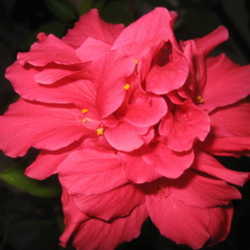 Abelmoschus Abloom Hibiscus, the healing plant When Can I Plant This...?